A workhouse existed in St Ives from around 1719 (Hitchcock, 1985). A parliamentary report of 1777 recorded parish workhouses in operation at St Ives (for up to 80 inmates), Bluntisham and Erith (28), and Broughton (23). County of Huntingdon: Bluntisham with Earith (2), Broughton, Bury, Colne, Fenstaunton, Hemingford Abbots, Hemingford Grey, Hilton, Holywell-with-Needingworth, Houghton, Old Hurst, Pedley-with-Fenton, Somersham (2), St Ives (3), Warboys (2), Wiston, Witton, Woodhurst. County of Cambridge: Boxworth, Connington, Fen Drayton, Lolworth, Over, Swavesey (2). The population falling within the union at the 1831 census had been 17,271 with parishes ranging in size from Lolworth (population 129) to St Ives itself (3,314). The average annual poor-rate expenditure for the period 1833-35 had been £11,236 or 13s.1d per head of the population. 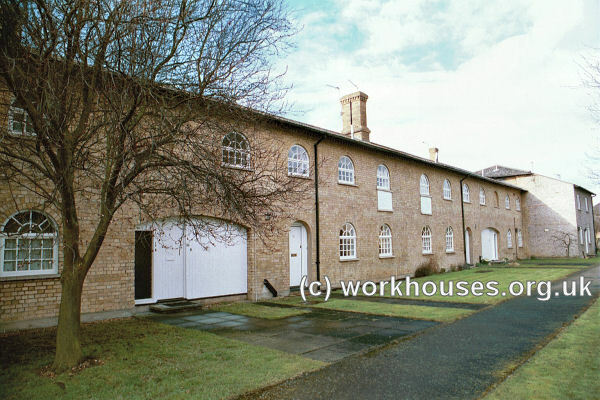 St Ives Union workhouse was built in 1837-8 at Hemingford Grey, London Road, St Ives. It was designed by William T Nash of Royston and was built on a courtyard plan — the courtyard was originally divided into four triangular divisions by walls fanning out from the rear of the master's house. Originally built to accommodate 400 inmates, it was altered and enlarge in 1839, with the total costs amounting to £4,000. The workhouse location and layout are shown below on the 1924 map below by which time the workhouse was officially known St Ives Poor Law Institution. St Ives workhouse site, 1924. 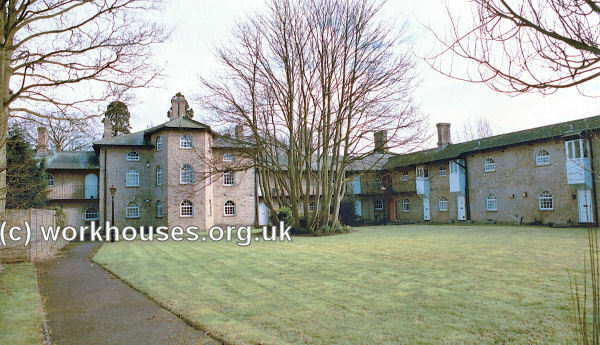 Former St Ives workhouse, general view from the north-east, 2001. Former St Ives workhouse, central courtyard from the north-west, 2001. Former St Ives workhouse, west range from the south, 2001. In 2018, the workhouse featured in an episode of the BBC TV series Who Do You Think You Are?. Paralympic athelete and Strictly Come Dancing star, Jonnie Peacock, discovered that his 4x great grandmother, Louisa Voss, and her three children had spent several months in the institution in 1853-4. After 1930, the workhouse was redesignated as a Public Assistance Institution under the control of Huntingdonshire County Council. 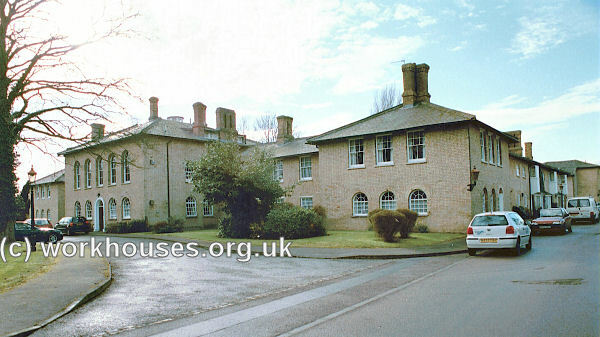 The former workhouse buildings have now been converted to private housing. Huntingdon Library and Archives,, Princes Street, Huntingdon, PE29 3PA. Holdings include: Guardians' minutes (1836-1917); Admissions and discharges (1843-1919, casuals 1901-28); Indoor relief lists (1837-1917); Births (1836-1926); Deaths (1836-1914); Creed registers (1869-1913); Punishment books (1870-1926); Register of relatives (c.1920-30).